Simon Winchester's The Meaning of Everything is about the epic undertaking of creating the Oxford English Dictionary. The process took years. DECADES, even. Like, more decades than most people in the era really lived. I suppose this is reasonable, as there are a lot of words in the English language, and I can't even imagine how one goes along cataloging them and defining them. And how political it can become. For example, the word American was put into the first edition of the dictionary, but not African. Winchester shares a lot of anecdotes such as the one above, and others that are much more humorous and interesting as well - a kleptomanic assistant, the little jokes the compilers put into their example sentences, the difficulties with printers... it's an entertaining book, though not supremely fascinating, and I am pretty sure that I won't remember anything from it except that the dictionary took about 70 years to create. Ah, well. It was fun! Longbourn is also set in England, though during the Georgian era, not the Victorian. This book has gotten a lot of attention recently as it is kind of a spin-off from Pride & Prejudice, but it hardly references the people and actions of that great novel; rather, it focuses its attention on the servants who work for the Bennets. Poor as the Bennet family is, they are wealthy enough to have servants, and the servants have a very different life view than they do. All they do, really, is work, and so they are both fascinated and repelled by people who can spend so much of their lives in leisure, and who seem to have no regard or thought for other people's comfort. The stars of this book are the servants, particularly Sarah, the housekeeper Mrs. Hill, and the new footman James. I enjoyed learning about how they spent their days, their small victories and never-ending exhaustion. However, I felt very separate from them in this novel. Maybe it was because of the narrator, but it felt to me like there was a great distance between the reader and the main characters, which was unfortunate. Also, I found parts of this book pretty dull. I really enjoyed learning about the "downstairs" life of a Jane Austen novel, but the characters were just so quiet and tired, I did not grow to love them as I loved Elizabeth Bennet, with her wicked sense of humor and fine eyes. I am hoping to read more short story collections this year. One that caught my eye was When the Emperor was Divine, by Julie Otsuka. It's about one family's experience of the Japanese internment camps in the US during WWII. None of the family members are ever named; they are referred to as "the woman," or "the girl" or "the boy." This was a little strange, but I think it was done to make us feel like the story could be about any family, not just one. While the book feels like one story, it really is a series of vignettes told from different POVs. It was very illuminating to learn about the internment camps; while the "guests" were not necessarily treated horribly in the camps, they were given no compensation after they left, and many people came back to homes that had been poorly maintained, their belongings stolen, and many Japanese-Americans had trouble finding work after the war. While I didn't love this book, it did really pique my interest in the internment camps. I have Hotel on the Corner of Bitter & Sweet on my shelf to read, so I'll be sure to pick that one up soon! The Simon Winchester book sounds interesting. I don't think I have ever read him, so I should! I know I've never read Simon Winchester and I think this is a travesty. I need to fix this. Longbourn sounds fascinating to me. I traced part of my family tree back to 1700s England and I figure it's most likely they were either farmers or servants like this. It makes it sounds so interesting to me! I hope to read it eventually. I need to read more short stories as well. I haven't read anything by Julie Otsuka yet. I feel like I've read something with Japanese Interment camps in it, but I can't remember what off the top of my head. Was it Hotel on the Corner of Bitter and Sweet? That's the only other one I know. I thought that was ok but not amazing. Have you read Winchester's other book about the dictionary -- The Professor and the Madman? I read it back in the day when it was new so it's probably been long enough that I could read another OED book by him and not notice any repetition. All I really remember was his engaging way of writing. I'll put this one on my list. I haven't read it but I know about it! I will try to read that one, too. He does have a very engaging writing style. I have never read anything about the internment camps so that one sounds really interesting to me. I am very curious about Winchester's reasoning behind putting "American" in the dictionary, but not "African". Did he include other nationalities? Was it a white privilege thing? "Murray, the dictionary’s first editor, made an early editorial decision that the O.E.D. would not include any proper nouns—this was regarded as the province of the encyclopedia, not the dictionary—and that words formed from proper nouns would likewise be excluded. This was a poor policy, which was quickly rescinded: “American” was duly entered when editorial work progressed deeper into the letter A, but by then it was too late to make changes in the “af-” section. " I highly recommend The Professor and the Madman by Winchester. I hadn't heard about this new Winchester re the OED. Guess I'd better read that one! I don't think this one is new, really - new to me, but definitely published more than a few years ago. It would be interesting to see how much overlap there is with the other one about the OED. I haven't read anything by Winchester yet. Since this one was entertaining to you but not fascinating, I'll probably try one of his other books. 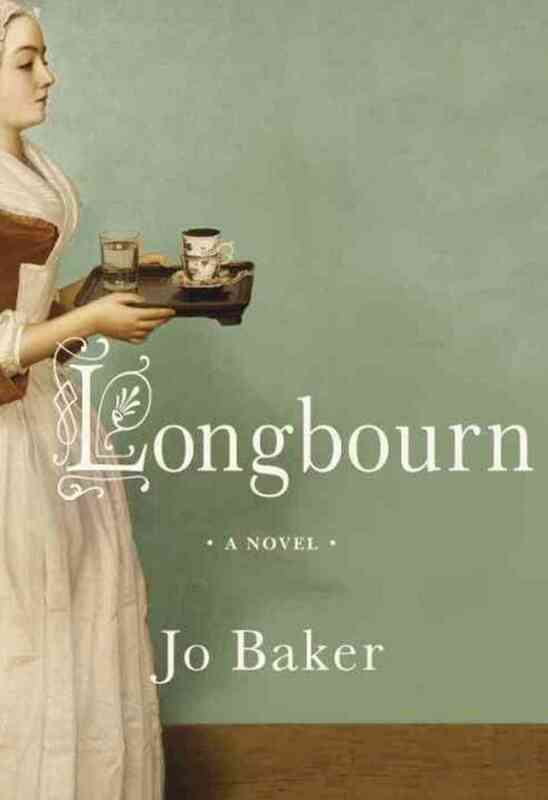 I think Longbourn is the only "spin-off" of Austen I'm interested in reading. Last year I read Silver Like Dust by Kimi Cunningham, which was a memoir about the author's relationship with her grandmother - her Obaachan - as well as a memoir about her Obaachan's experience of being in one of the internment camps. I had picked the book up because I went to the same college as the author - I really ended up enjoying it.